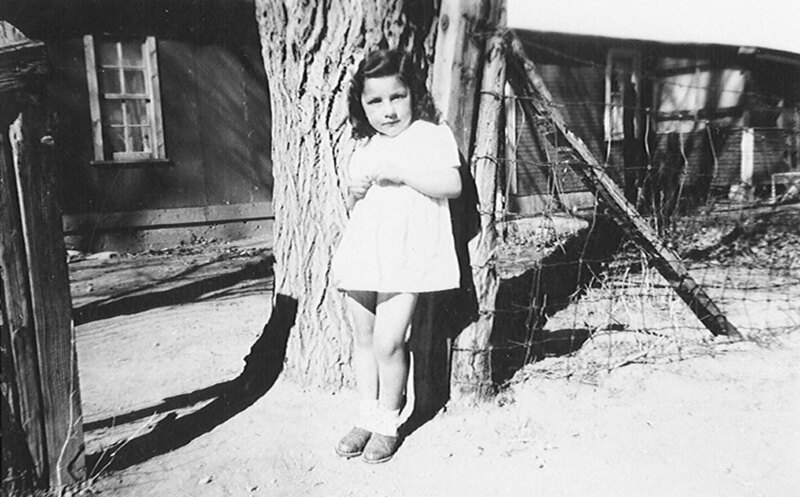 Virginia Montaño Lucero Castro, age four, stands in front of her home in Grand Junction, Colorado. Virginia Castro’s mother, Lola Cruz, was born in Mexico and came to Colorado’s Western Slope with her family around 1925. Her maternal grandfather was a migrant worker who scraped together enough money to buy land in Silt, where Virginia was born at home. Virginia was essentially raised by her maternal grandmother, who spoke only Spanish. “The only history that I remember her telling me is that Emiliano Zapata had come to their village. And that was it as far as the history.” Virginia faced discrimination and bullying at school, a situation worsened by the fact that her family was one of only two Hispano families in the area. When Virginia was 12, her father got a job at a steel mill in Pueblo and moved the family to the predominantly Hispano neighborhood of Salt Creek. She continued to experience adversity, especially because of her family’s low income. After her parents split, Virginia spent time both in Pueblo and visiting Glenwood Springs as an adolescent. She met Richard Lucero in Rifle and, before she graduated high school, she’d married him and had her first son. At her husband’s urging and now with three sons, the couple moved to Denver to be with his family. They lived with seventeen people in a house on the Westside before moving out on their own; the birth of another child followed—this time a daughter. But when Virginia decided she wanted to attend Emily Griffith Opportunity School, it signaled the end of her first marriage. She was selected for a competitive nursing program at Denver General Hospital, which encouraged her to pursue a bachelor’s degree at Metropolitan State College of Denver. That is where she first learned about the El Movimiento. Virginia was a central player in El Movimiento. Influenced by both the Chicano Movimiento and the Women’s Liberation movement, she was particularly inspired by Colorado grape boycott leader Juanita Herrera. She helped organize students to picket against a Spanish teacher who was treating the native Spanish speakers in her class unfairly. Although she was fluent in Spanish, she didn’t know much about her heritage. She says that learning history was an important part of El Movimiento: “You need to learn your history, because if you don’t know your history, who are you?” She felt the pressure to learn; she remembers going to the library and being surprised to discover so many books that had been written by authors with Spanish names. She and her fellow Chicano/as organized a United Mexican American Students organization at Metro, which spread to colleges throughout the Southwest. And, when Metro was planning its move to Auraria, Westside community members asked her and her fellows to help build relationships with the people living there. They ended up advocating to reimburse residents for their forced displacement. Auraria Library Digital Collections, Auraria Library. Photo by Shannon Garcia. Virginia met Richard Castro at Metro in 1967. 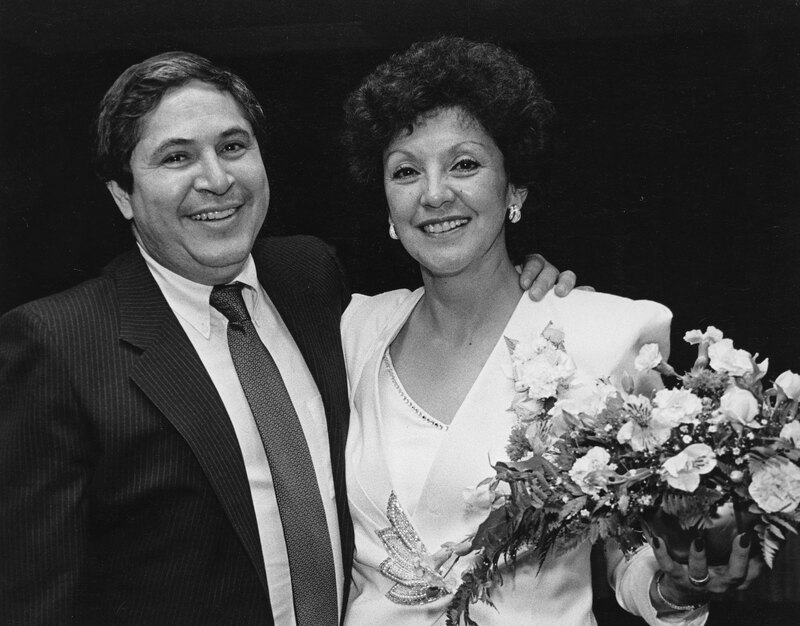 They grew closer as they both became increasingly active in the Chicano movement, and in 1972 they married. After they were both recruited by DU's graduate school for social work, they continued to organize, protest, and advocate for policy changes. They formed the Committee to Preserve the Westside, which later became the Westside Coalition. Richard and Virginia also both protested police brutality and faced threats, including explosive attacks in their neighborhood. After working her way through school as a nurse, Virginia decided she wanted to work in schools. She graduated in 1973 and signed on as a social worker for Denver Public Schools in 1974, the first year that mandatory busing began in an effort to create more multiracial schools. She continued to work for DPS for 27 years, where she created the Program for Pregnant and Parenting Teens that became Florence Crittenden School. Richard Castro faced a lot of danger during his life, which of course affected Virginia as well. At the age of 25 he was elected into the Colorado House of Representatives, and he later became a close ally and right-hand man of Denver Mayor Federico Peña. Today, a bust commemorating Richard Castro created by Emanuel Martinez resides in the Colorado State Capitol; it was one of the statues vandalized just this past January. Virginia was a close consultant of late author Richard Gould on his biography of her late husband, The Life and Times of Richard Castro: Bridging a Cultural Divide, published by us in 2007 and a winner of the Colorado Book Award. She actively serves on the committee that advised on the creation of the exhibit El Movimiento: The Chicano Movement in Colorado at History Colorado Center. Want to learn more? Be sure to check out Frederico Peña in his own words and our award-winning book The Life and Times of Richard Castro: Bridging a Cultural Divide! This blog post is an amended version of a previous blog post published on 3/29/19.